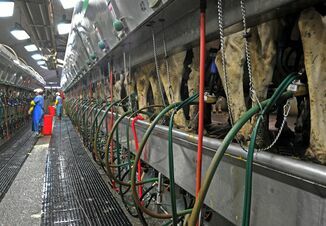 Global dairy prices rose in an overnight auction on Tuesday paring losses from the previous auction earlier this month, and adding to economists' expectations prices are recovering as supply tightens. 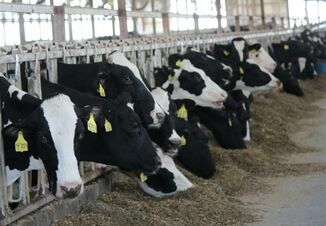 Prices in the fortnightly global dairy trade auction rose 1.4 percent to an average selling price of $2,965 per ton, resuming a two-month rally briefly blemished by a 3 percent fall in the Oct. 4 auction. Whole milk powder, which makes up the bulk of the auction, rose 2.9 percent. Longer-dated contracts saw the biggest gains. The latest auction "adds some confidence that most or all of the previous price gains will be maintained," BNZ Senior Economist Doug Steel said in an email to Reuters. Steel said declining milk production in many key areas around the world had underpinned price gains over recent months, including New Zealand "where far too much rain is denting production in the run up to peak in October." Fonterra, the world's largest dairy exporter and one of the participants in the auction, recently cut back its supply for the auction as wet conditions crimped production. A total of 31,525 tons was sold at the latest auction, down 7.1 percent from the previous one. 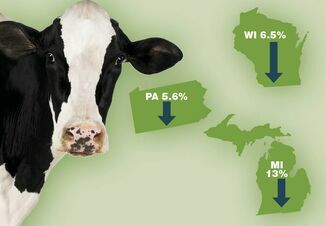 The price gains are feeding farmers' hopes that the worst is over following a major slump in dairy prices due to China's economic slowdown and global oversupply. ASB Senior Rural Economist Nathan Penny said while prices may remain choppy over the coming auctions, New Zealand's "weak production is largely locked in." Penny said in a note that he expects Fonterra to pay farmers to NZ$6.00 (US$4.33) per kilo of milk solids, up from the dairy giant's current forecast of NZ$5.25 (US$3.79) for the current season. Fonterra last lifted its payout on Sept. 21, when it indicated further revisions were likely given ongoing volatility in global dairy markets. Auction participants include Fonterra, Amul, Arla Foods, Arla Foods Ingredients, Dairy America, Euroserum and Murray Goulburn. Products traded include whole milk powder, skim milk powder, butter, cheese, and anhydrous milk fat.